BIG TRUCK Day is Back! New Location. New Time. BIG TRUCK DAY is back! New time! New Location! Begin planning now to bring the kids out to touch (sit in and blow the horn too!) of the big City trucks! On BIG TRUCK DAY, Saturday, May 11 from 2 p.m. - 5 p.m., the Baltimore City Departments of Public Works and other City agencies will have their big trucks on display for all the kids (both big and small) to see, touch and sit in. 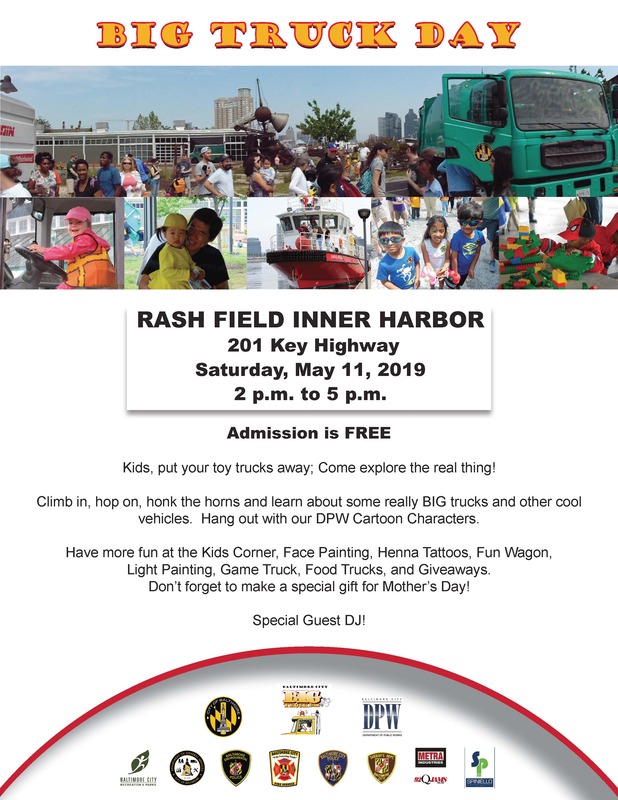 BIG TRUCK DAY will take place in Rash Field, Inner Harbor, 201 Key Highway.